And on that night, there were gourmet grilled cheese and loaded tater tots for all. Leading up to Spoon’s monthly Late Night at the Diner event November 8, University of Maryland students had the opportunity to vote on two special dishes that they wanted to see featured at North Campus Diner. 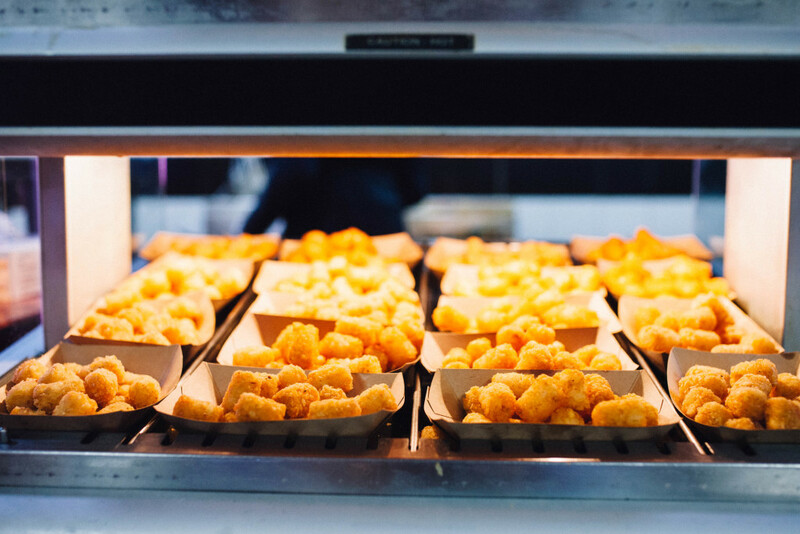 This month’s two winning dishes were (drum roll) gourmet grilled cheese bar and loaded tater tots. 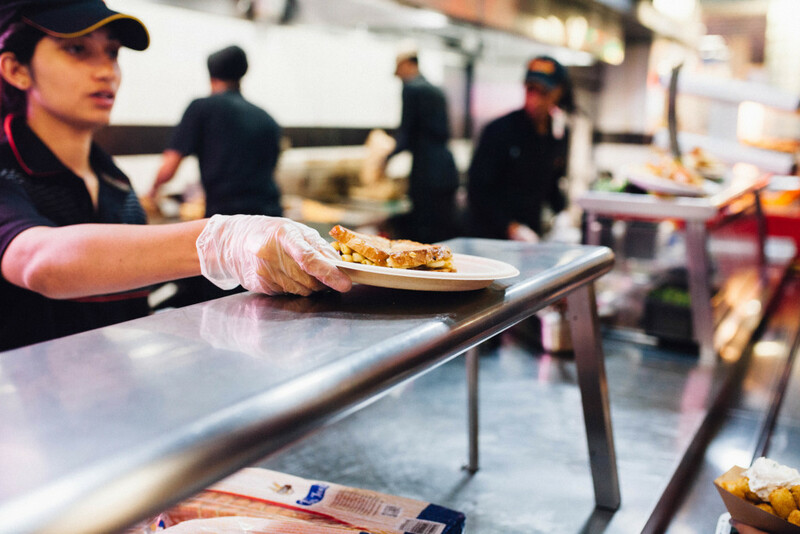 For the grilled cheese, students could choose between Texas toast or sourdough slices, four cheeses (American, Cheddar, Swiss, Brie, or cream cheese), and an array of extra add-ins such as cinnamon apples, french onions, guacamole, macaroni and cheese and jalapeños to create a one of a kind sandwich. Students also had the option of choosing between preselected gourmet sandwiches like Ultimate French Onion Soup, Macaroni and Cheese, Nutella Banana, Brie and Apple and Bacon and Guacamole. 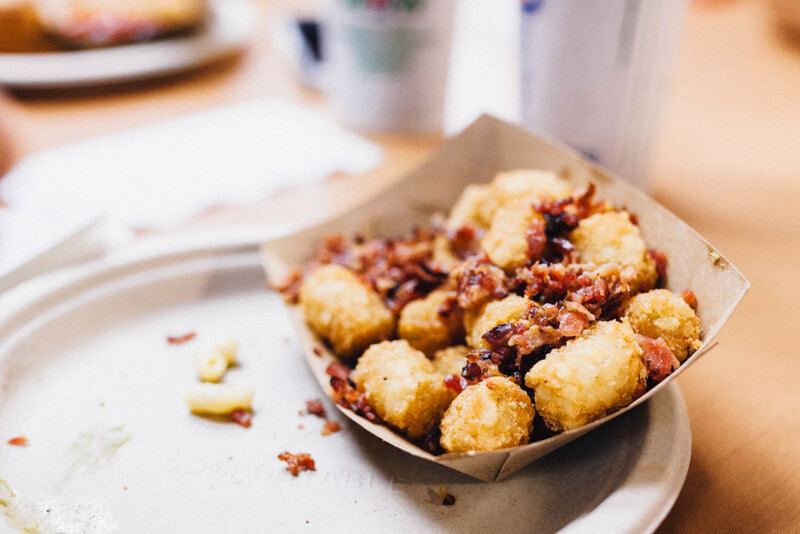 In addition, the loaded tater tots option gave students the choice between adding sour cream, bacon and green onions to the warm, crispy potato bites we all know and love. 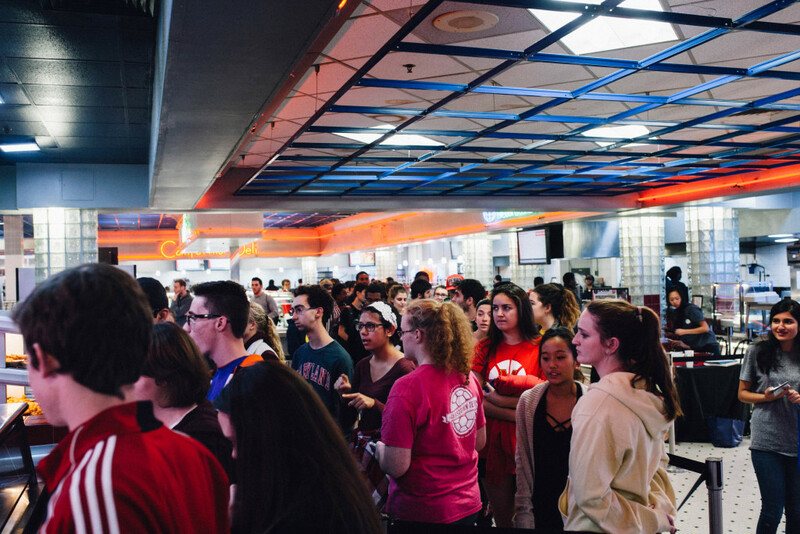 At the stroke of 8:00, floods of students took a break from their last minute study sessions and filed into The Diner in pursuit of late night munchies to fuel their grumbling bellies and re-energize their fried brains. 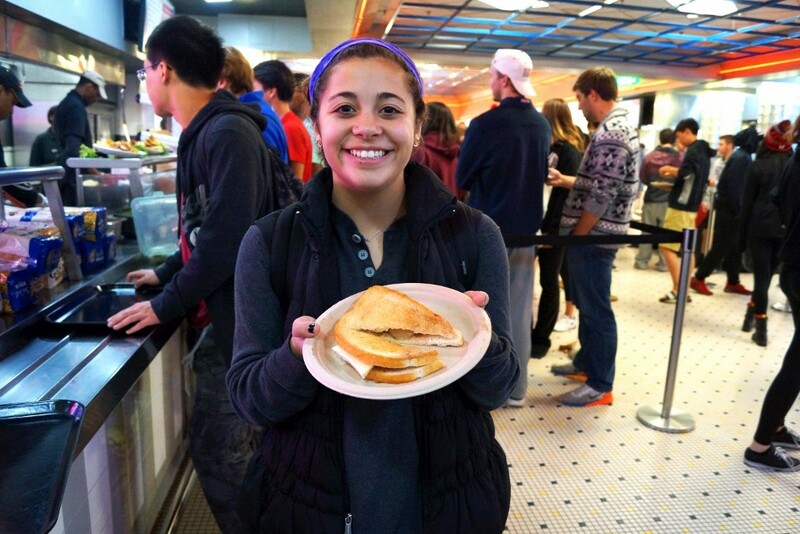 Compared to last month’s event, November’s Late Night at the Diner attracted a significantly larger crowd of hungry students. The grilled cheese bar in particular proved to be a crowd favorite with its line stretching at least double the length of last month’s. For some, the options for the grilled cheese bar proved to be too vast to make a definitive decision. “I think that I’m going to either get the Nutella Banana or the Mac N’ Cheese. Or maybe both even though I don’t want to tell you that,” laughed freshmen computer science major Chelsea Buchiane . Unfortunately, not all students were impressed with the grilled cheese. Luckily, the loaded tater tots catered to these students’ tastes as well. Voting for next month’s dishes are already underway in hopes of making next month’s Late Night at the Diner the best yet.